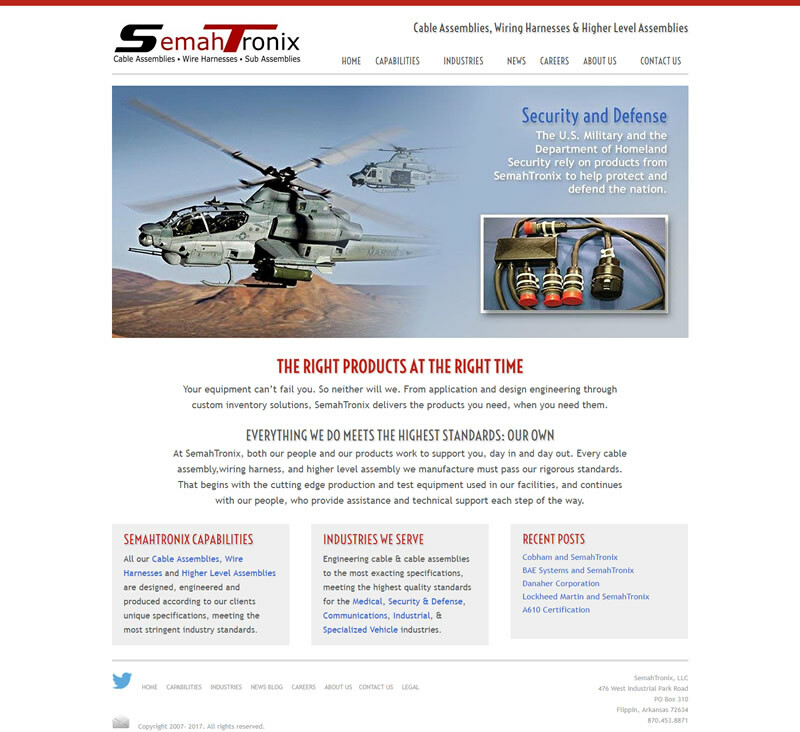 We created a new mobile-friendly and responsive website for SemahTronix. 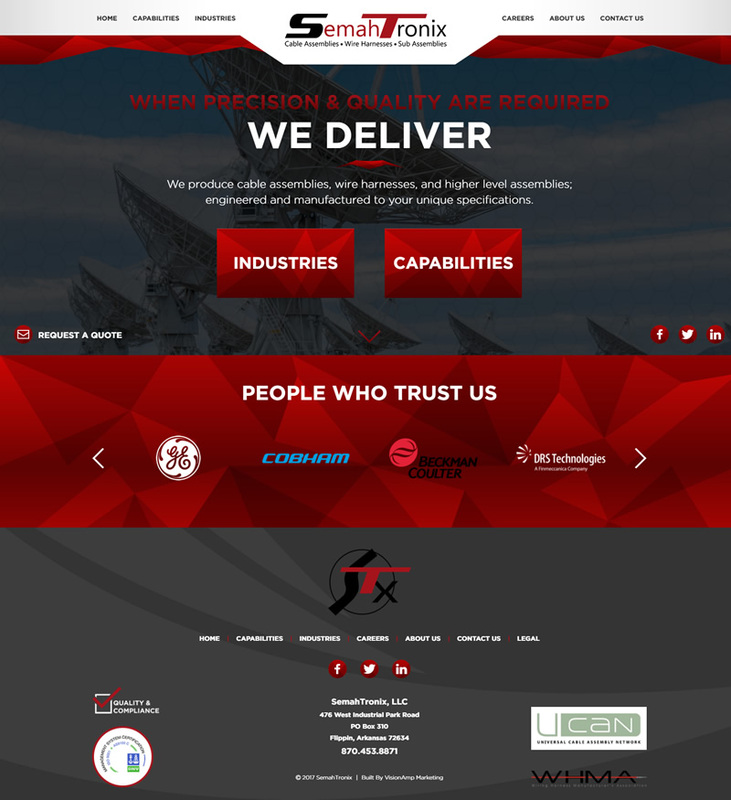 The new site provides a clear menu navigation for visitors to find products and capabilities. It is also easy to “Request a Quote” with just a click of a button. SemahTronix is located in Flippin, Arkansas. They produce cable assemblies, wire harnesses, and higher level assemblies that are engineered and manufactured to each customer’s unique specifications.